FIAM was born from one man's passion for glass. 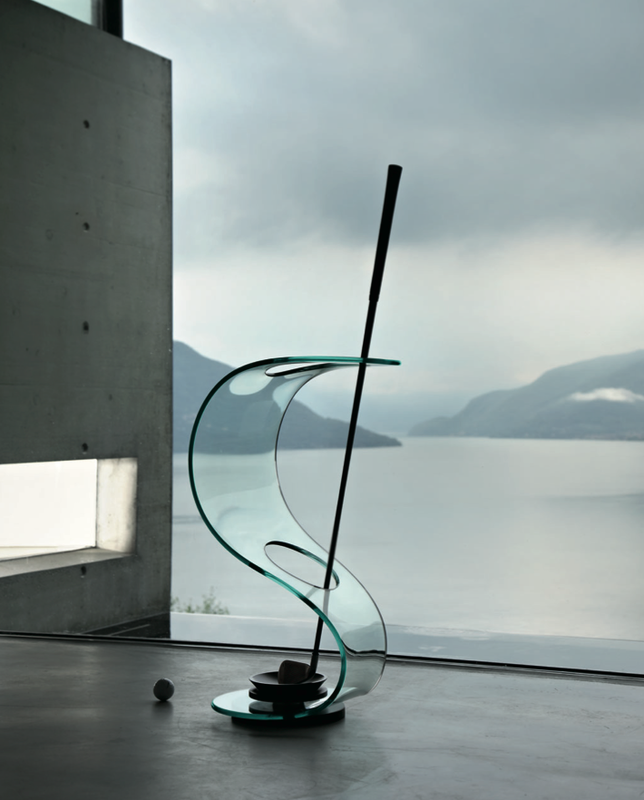 Founded by Vittorio Livi in 1973, FIAM designs, develops and produces items of furniture in curved glass, creating them through a combination of craftsmanship and industrial processes, actually merging tradition and innovation, hand-crafting and design. Vittorio Livi came to know and appreciate glass from a very young age. Glass, solid and fragile, natural and artificial, ancient and industrial all at the same time, is a mass of seeming contradictions, and Livi loved it for just that, as well as for its practical qualities. Glass is environment-friendly and hygienic: it may look simple, because of its transparency, but both its chemistry and its physics are really very complex. And this material of vast potential was virtually only used in the world of furniture for the production of small accessories or ornaments. 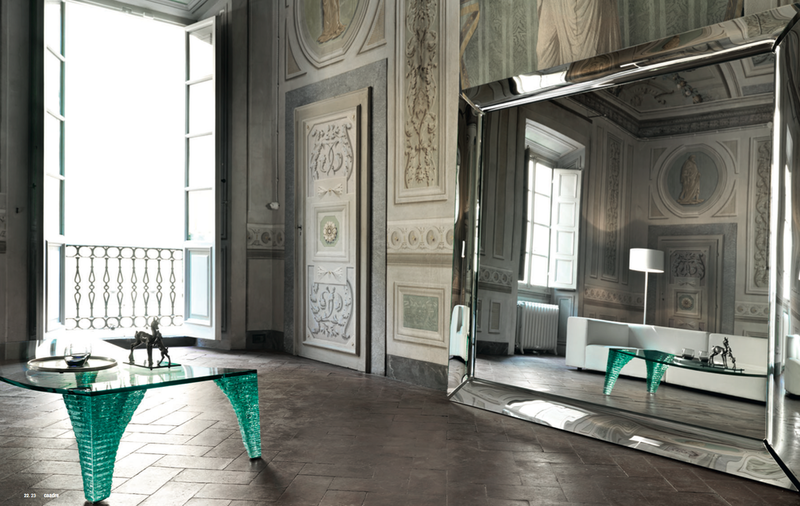 And so in the young Vittorio Livi's creative mind, a dream began to take shape: glass would become a unique star in the world of fine design, being used to produce items of furniture which would be astonishingly solid yet beautifully transparent; design items which would rise above the age of their production, untouched by the passing years, spaces and fashions. From its earliest days, FIAM immediately focused on innovation as the driving force for achieving its business and cultural aims. This innovation would proceed on three fronts. The success of the complex process by which glass is transformed into the finished product relies on the experience of skilled craftsmen, who carry out various operations: silver-coating, bending, decoration, fusion, engraving, grinding and carving. A glassworking professional, capable of predicting, quantifying, controlling and finding the right alternatives in every single case. During the bending process, the master craftsman's experience and his ability to work in perfect harmony with the furnace operator are fundamental for controlling the shapes produced and the success of the operation. In spite of the state-of-the-art technology used to forge it, the finished item is unique: a crafted work of art. 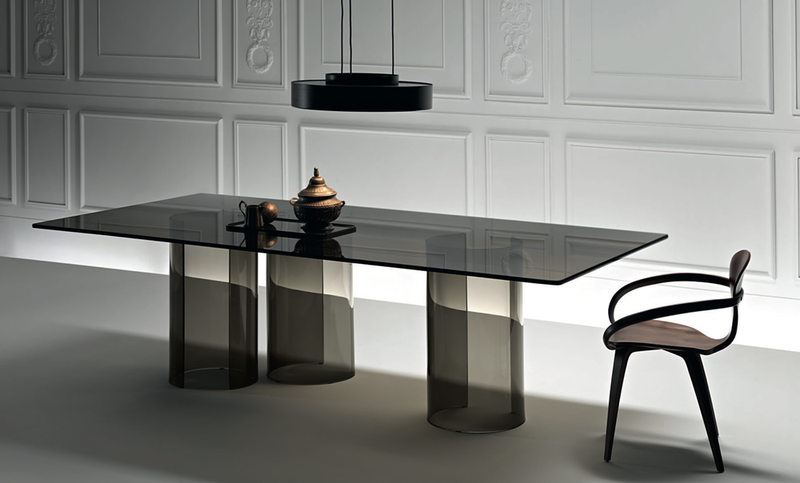 Therefore, at FIAM the master craftsman is considered just as important as the designer in the piece's creation. FIAM sees a designer's ability to take risks with shapes as a welcome challenge to its technical expertise. The company has even created one-off technologies to produce some pieces. For example, in 1982 Massimo Morozzi came up with the design for the Hydra coffee table, with very pronounced shapes it would be difficult to obtain with the machinery then available. So FIAM invented a special machine (called the Paser) capable of pushing water and abrasive powder to a speed of one thousand metres a second â€“ three times the speed of sound! And to produce the Illusion table by Philippe Starck, FIAM had to create a plant capable of processing glass at one thousand degrees.